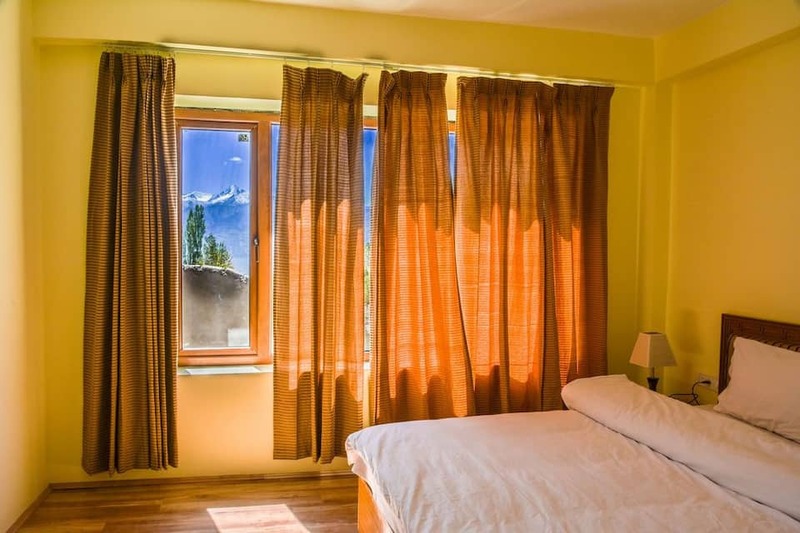 Hotel Himalayan Residency is a 3-star hotel in Leh at Khakshal Road. 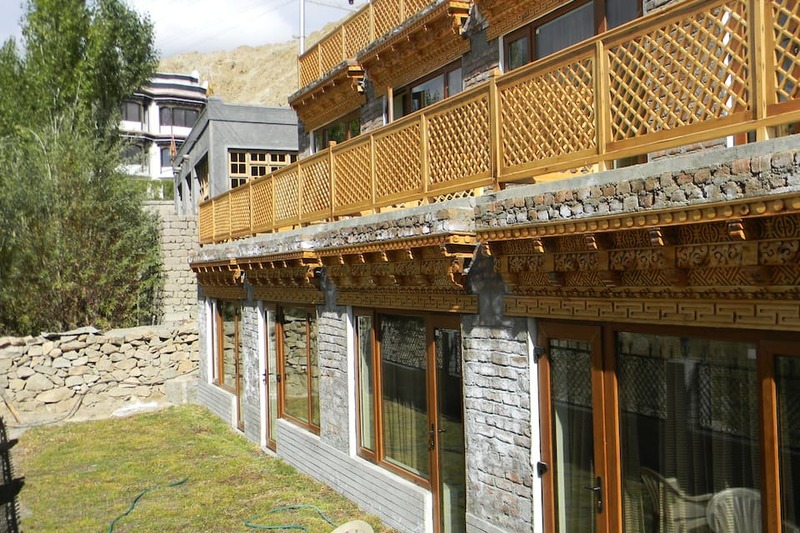 The luxurious property is 3 km from the famous Leh Palace. 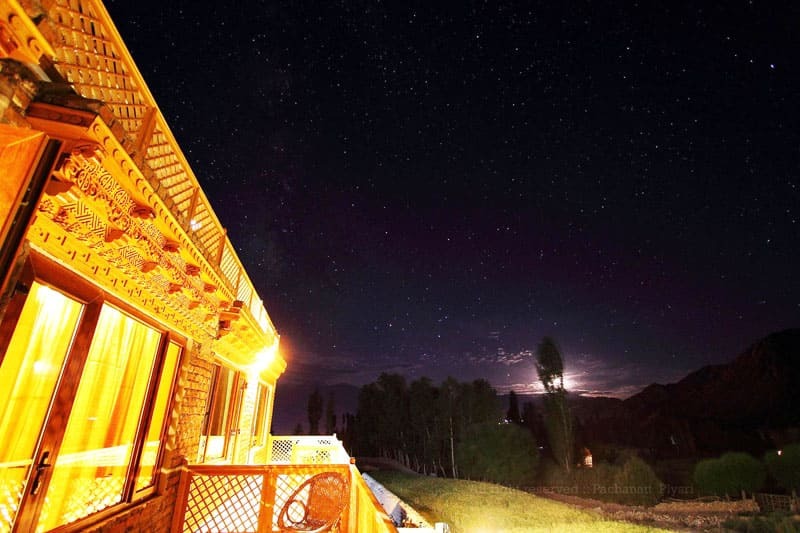 It provides an opportunity for a peaceful vacation with the serene and quiet atmosphere. 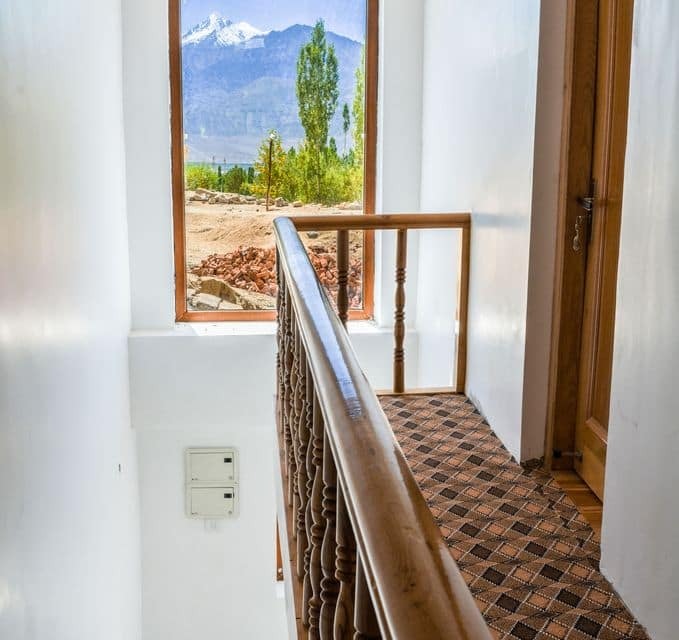 Several rooms of the beautiful hotel have mesmerising mountain views. 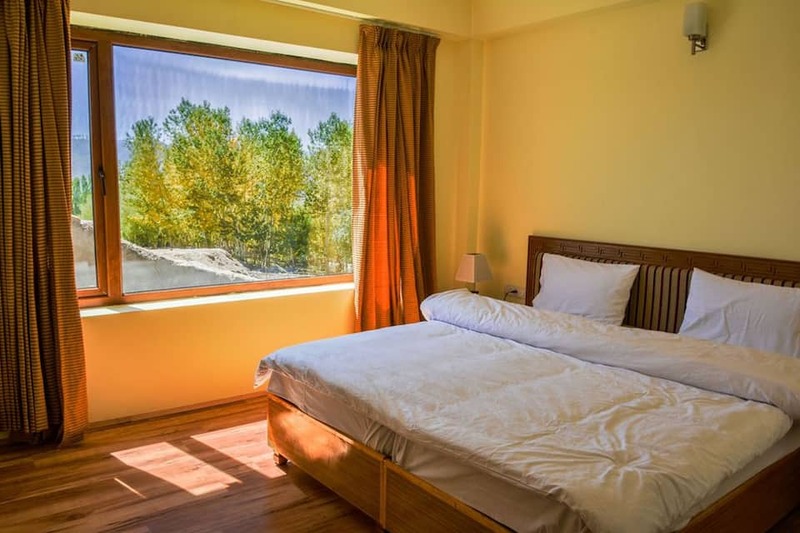 The facilities available in Hotel Himalayan Residency are laundry service, doctor-on-call, travel desk, 24-hour room service, power backup and money exchange. 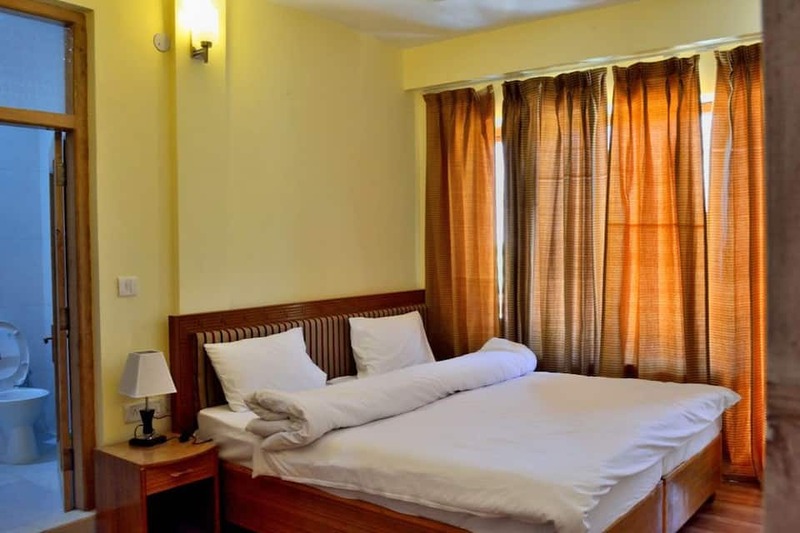 The hotel also offers Wi-Fi facility to its visitors. 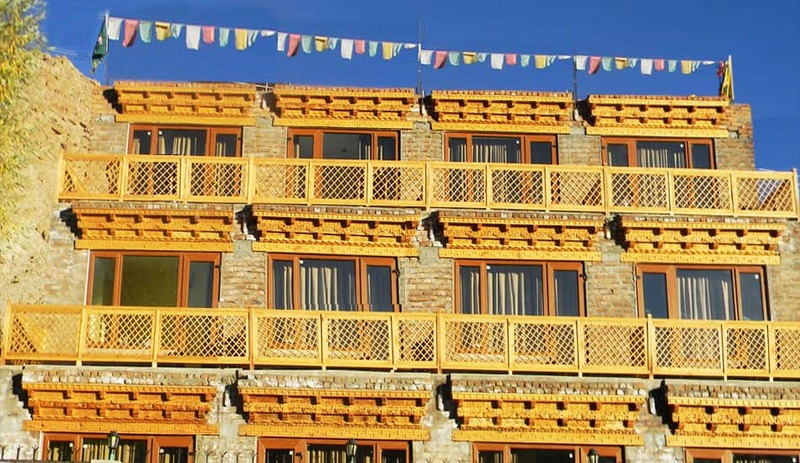 Guests can also enjoy cultural show on demand at the hotel. 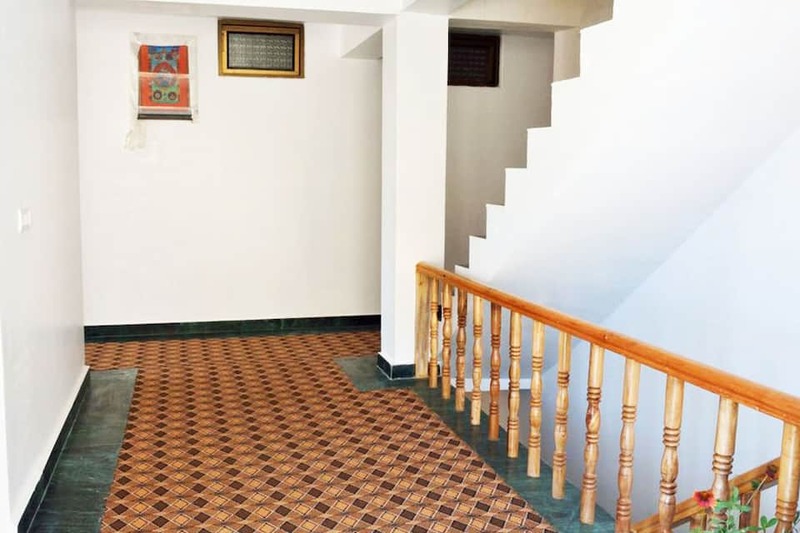 The 3-storied property comprises a total of 10 spacious rooms. 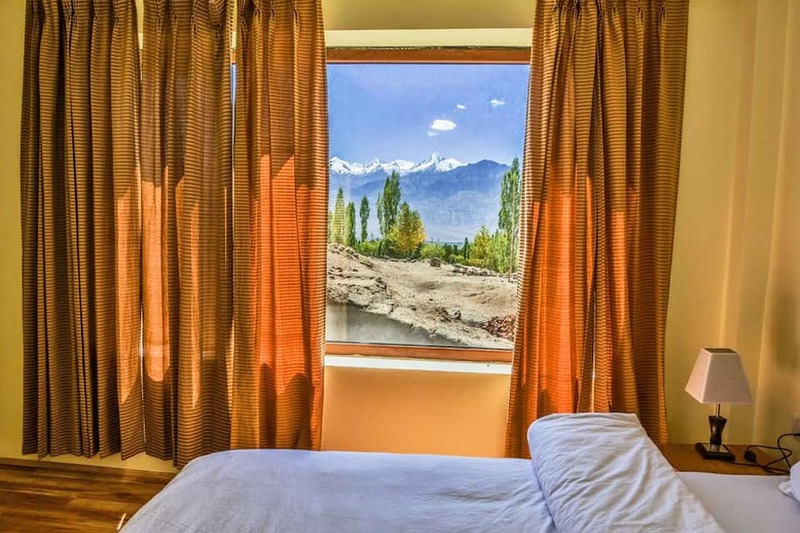 The rooms of Hotel Himalayan Residency are divided into two categories - Standard Room and Deluxe Room. 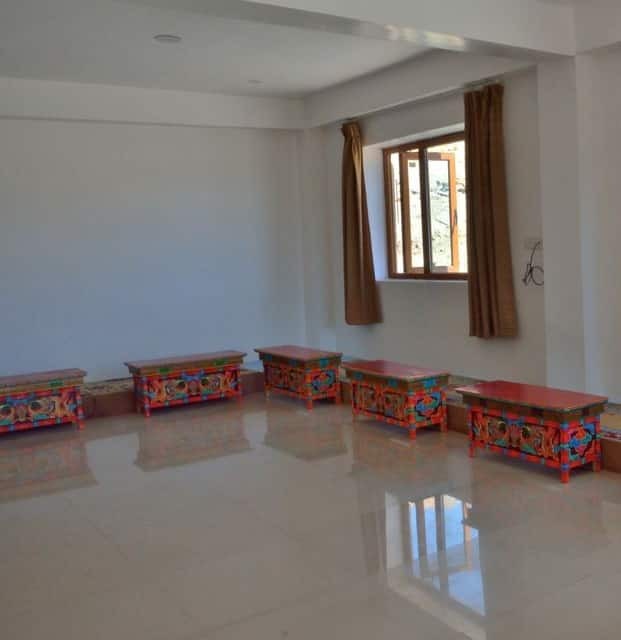 Amenities in the rooms are LED with Tata sky connection, complimentary tea/coffee maker, massager chair and telephone. 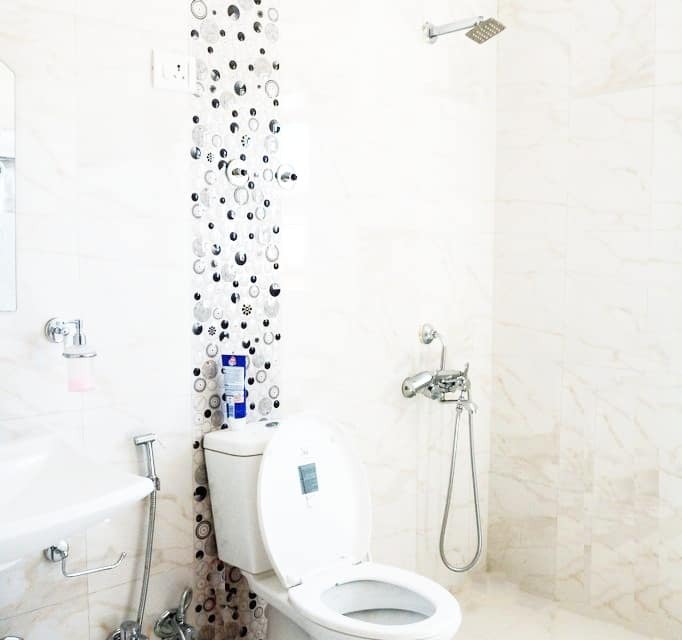 The attached bathrooms have Jacuzzi bath tub, and a changing room. 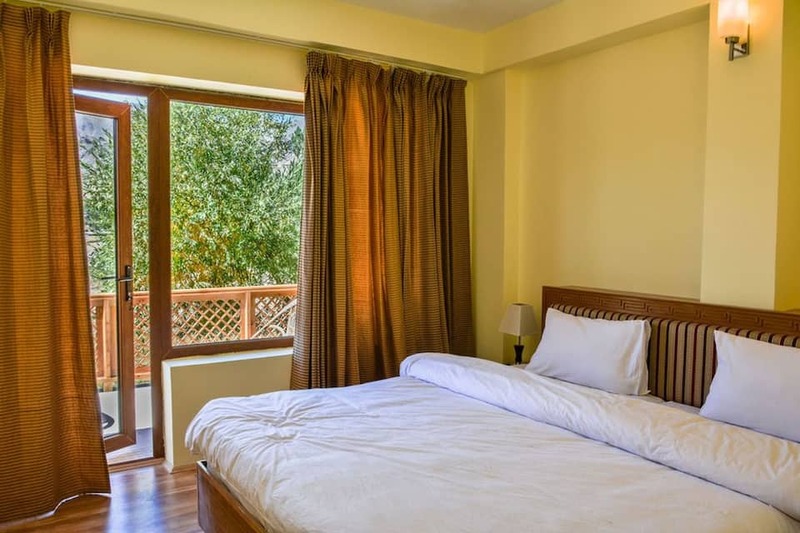 Guests can also use its laundry service and 24-hour room service facilities. The hotel has a restaurant which offers buffet style menu. 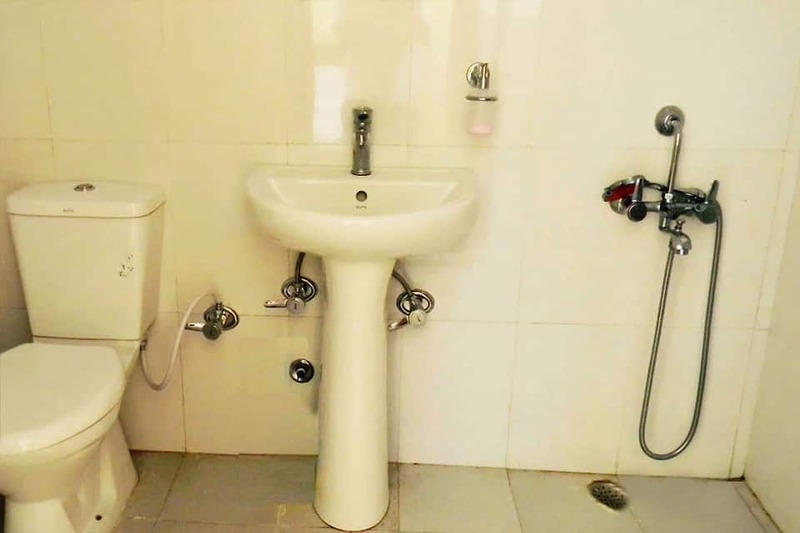 The hotel is 5 km from the City Bus Terminal. 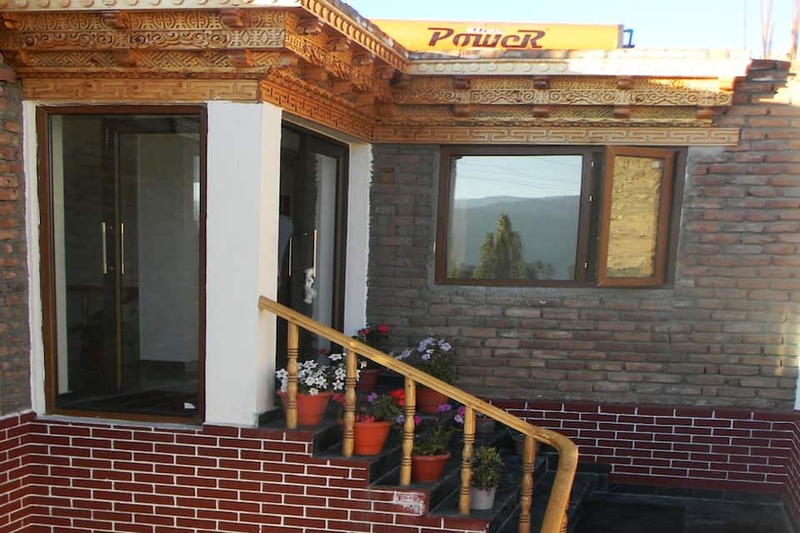 Kushok Bakula Rimpochee Airport is 7 km from Hotel Himalayan Residency and Srinagar railway station is located at a distance of 448 km. The famous Shanti Stupa is 3 km from the hotel. 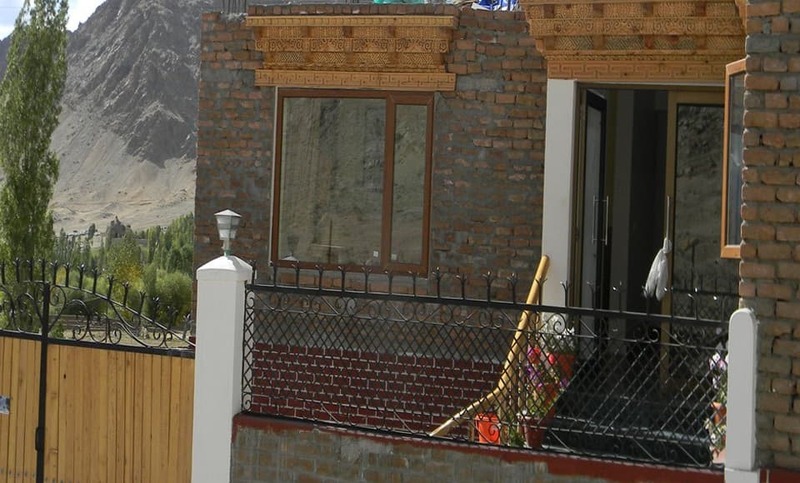 Soma Goma (3 km) and War Museum (8 km) are the other tourist attractions.The hotel is 3 km from the main Leh market.